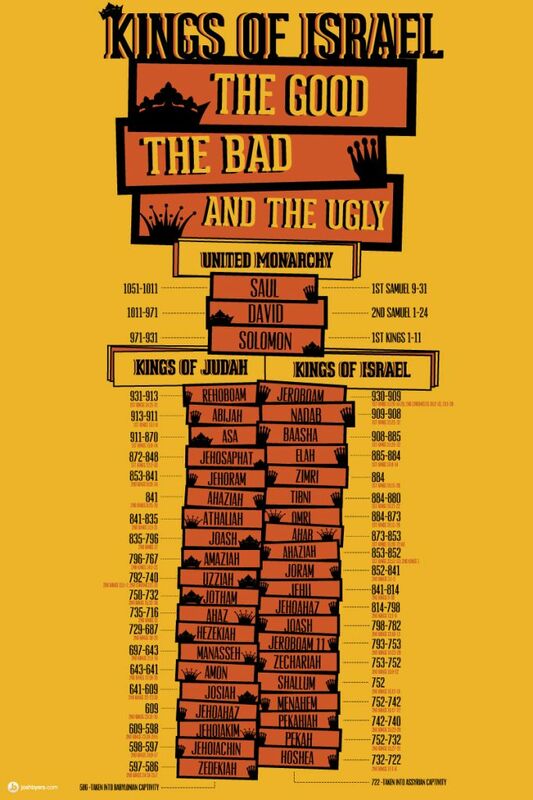 One of the most vexing problems in the Old Testament is the chronology of the divided monarchy. Interpreters as early as the Greek translators of the Old Testament have struggled to understand the lengths of reigns of the Israelite and Judahite kings. In some cases the numbers simply do not seem to add up. 1 Kings 15:25 states that Nadab began to rule in Asa’s second year, and verse 28 claims that he died in Asa’s third year. Simple math would indicate that Nadab reigned for one year, but verse 25 states that he ruled for two. 2 Kings 3:1 notes that Joram began to rule in Jehoshaphat’s eighteenth year, but according to 1:17 Joram ascended the throne in Jehoram’s second year. According to 9:24-27 Jehu killed king Joram of Israel and mortally wounded king Ahaziah of Judah on the same day. Thus, the total length of reigns for the kings of Israel and Judah from the division of the united kingdom in Rehoboam’s time to Jehu’s assassination must have been equal. But adding up the numbers in the Biblical text yields a total of 98 years for Israel and only 95 for Judah. Different calendar years were in use in Israel and Judah. Israel began its calendar year in the month of Nisan (in the spring), while Judah’s year started in Tishri (in the fall). There were two different ways to count the first year of a king’s rule. In the “accession year” system, the time from the day a king began to reign until the beginning of the new year was counted as his “accession year” – not his first year, which would begin on the first day of the official new year. “Non-Accession year” reckoning, by contrast, counted the time from the king’s accession until the beginning of the new year as his first year; in this system, the first day of the new year marked the start of the king’s second year, no matter how long he had reigned during his “first year”. In the non-accession year system, then, the “firts year” was always less than one full year. Israel apparently followed the non-accession year system until the reign of Jehoash, when the nation shifted to accession year reckoning. Judah adhered to the accession year system except for a brief time when peaceful relations with the northern kingdom led to a temporary change. The northern kingdom’s early use of the non-accession year system explains how Nadab’s rule of one actual year was counted as two. Sometimes Israel was ruled by coregents (father ans son reigning simultaneously). In such a situation the son would be elevated to the throne before his father’s death and would begin counting his regnal years immediately. Such was the case for Jehoshaphat, who apparently installed his son Jehoram as coregent five years before his own death. Joram of Israel came to the throne during Jehoshaphat’s eighteenth year (2 Kings 3:1), which was also Jehoram’s second year (2 Kings 1:17). Because two Judahite rulers were each counting the years of overlap in their regnal totals, adding up the Biblical numbers understandably results in a figure too high for the period and unequal to the regnal totals in the northern kingdom. Recently some scholars have proposed minor modifications to the dates set forth by Thiele for the reigns of the kings of Israel and Judah, but on the whole the priciple ho outlined and the chronology he established have stood the test of scholarly scrutiny. When coordinated with absolute dates known from Assyrian and Egyptian records, the chronological principles recognized by Thiele make excellent sense of a thorny problem and provide an accurate chronology of the kings based upon the sum total of the Scriptural data. For more on the kingdoms of Israel and Judah, see The history of the Northern Kingdom under 1 Kings 13.